I have been eyeing this for a long time and since I finally had the chance to feel it, I couldn’t contain my excitement no more and bought 2 at one go; 1 in my lucky color and another in my favorite color! 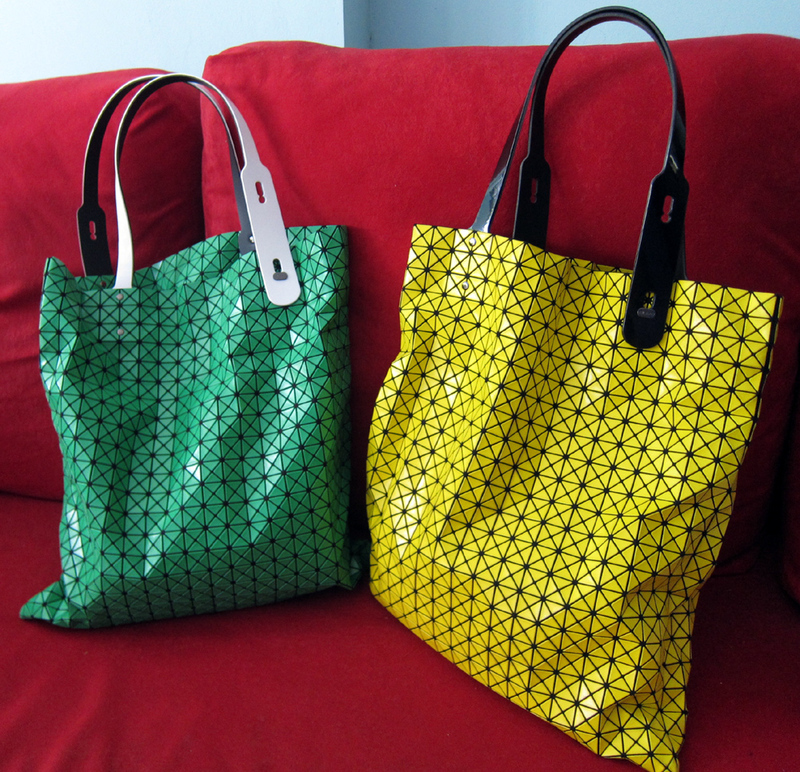 =D Presenting my newest babies… Issey Miyake Pleats Please!!! This bag is very cleverly designed that even when it is out of shape, it creates some kinda arty design. I love every bit of them. =] Due to some sickening incidents, I wasn’t able to get my tata baby bag. D is very determine to go HKG next Jul for some serious shopping and wants me to start saving now! He promises to get me one tata baby in HKG even if it cost more. I’m not keen about saving for HKG cos HKG to me is more like… going home, I would infact love to head back to Japan or Korea. Hada Labo, every girl should have them at home! It is no doubt the best seller in Japan and Taiwan. I can see the glow on my face, almost immediately, after my 1st try. 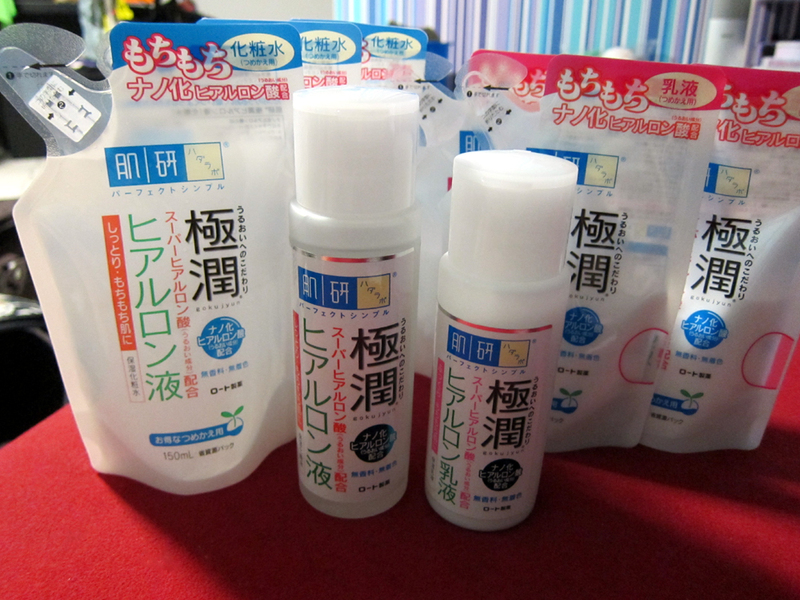 Thanks to Weiting, I got to know about this product and decided to try the Hydrating lotion and Hydrating milk. After trying it in Japan, I instantly bought more to stock up! Did I mention it’s also cheaper in Japan?? After using it for more than 3 weeks now, I can see and feel the softness of my skin and the natural glow it brings. I only regret not buying the whole collection to try. The hydrating milk aka moisturizer is OMFG. It feels a little oily after applying but I realize the goodness of it after I woke up the next day, my skin feels completely moist with a tad of glow! As their products are fragrance free, it is very suitable for people with sensitive skin or eczema. Hada Labo Arbutin Whitening Lotion « Modgam's Playground; Fashion, Food, FunFinds.